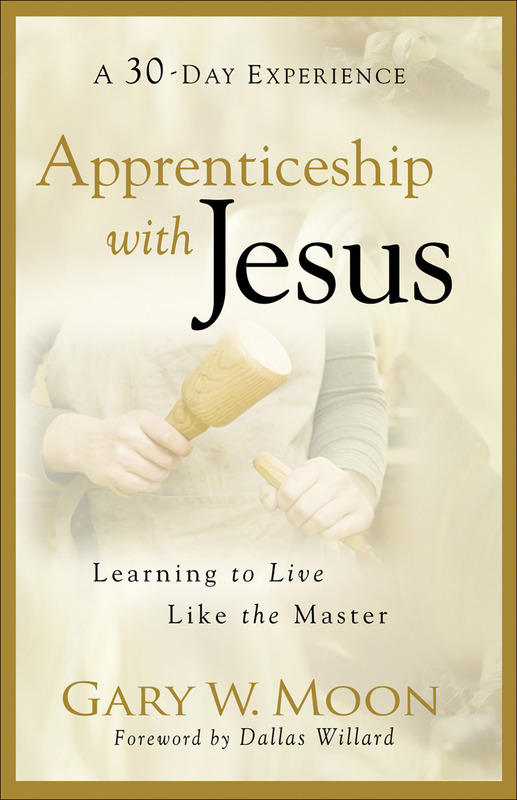 For Lent, I am walking us through a book called Apprenticeship With Jesus by Gary W. Moon. You can follow along by reading my highlights and reflections. Extensive previews of the book, including excerpts, can be found through Google Books and Amazon, as well as eBook purchasing options. – Jesus’ focus is on product development – produce people whose hearts truly are renovated and the world will want in. I am a firm believer that American Christianity lacks personal models of apprenticeship. We see, in our churches, a brand of Christianity that is reasonable and rational; a brand of Christianity that lacks sacrifice, surrender, and dedication. We need more models of Christians who are earnestly seeking renovation of their spiritual life. We need more examples of what it looks like to be Christlike in the 21st century. The norm in our churches does not need to be the status quo because that is not working. The norm needs to be a collection of people whose lives are being daily impacted by the work of Jesus Christ. – Step 1: Apprentices are with him, learning to be like him. – In what ways are you with Jesus? – Step 2: Apprentices are being immersed at all levels of growth in the presence of the Trinity, the Father, the Son, and the Holy Spirit. – How do you experience God as your Father, teacher, and healer? What differences has these experiences made in your life? – Step 3: Apprentices begin to act like Christ because they are becoming like him through inward transformation. – What personal changes have you seen that can be attributed to inward transformation? – Read Colossians 3: 1-17 and then ponder verse 16 – Let the message of Christ dwell among you richly as you teach and admonish one another with all wisdom through psalms, hymns, and songs from the Spirit, singing to God with gratitude in your hearts. I love Colossians 3:16 and have used it has a guide to some of the ministry attempts that I have been involved in. I like to teach but I want to make sure that I teach the ‘message of Christ’ and not my own. I want this message to be such a part of my own life that it just spills out on every other aspect of my life. And then to be able to teach with wisdom that comes from rich sources just sounds so appealing to me. What is Jesus teaching me? The Easter story just reminds me how weak I am and this has been confirmed in some of my daily encounters. Judas, Peter,the sleeping disciples, the enraged crowd, the Pharisees, and Thomas all just seem so weak and limited in their ability to handle tough situations and I know that I would have been right there along with them. But then to hear Jesus from the cross say, “Forgive them, for they know not what they are doing,” just overwhelms me. What care, compassion, and mercy is shown by Jesus on the cross. It leaves me breathless. My limitations next to the immensity of Jesus’ love puts my life in proper perspective. I should be on my knees daily in humble praise for my Savior. Have you ever measured up your limitations next to Jesus? What about the Easter story affects you the most? This entry was posted in Lenten study and tagged apprenticeship with Jesus, Gary W. Moon, making apprentices by Scott Jeffries. Bookmark the permalink.